Fighting to Protect Your Rights! If you have been charged with a crime, you need experienced and zealous legal counsel in your corner immediately. Whether you need a DUI defense lawyer following a drunk driving arrest, or need help with another criminal matter, you need to protect your freedom. For most of us, a home purchase will be the largest transaction or investment we will ever make. As a result, it is important to enlist the services of a qualified and experienced real estate lawyer at the Law Office of Michael Olewinski who can help you navigate the process and ensure everything runs smoothly. If you are suspected of a crime or charged with a violation of law, you may require the services of a criminal defense attorney to present your defense or negotiate a plea agreement. 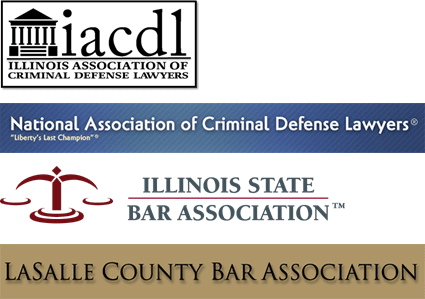 You should seek a criminal defense attorney who has worked on your particular type of case to provide you with the best defense. The effects of a car accident or other personal injury can be life altering for the short and long term. Dealing with pain, medical costs, property damage and the inability to work can all become aspects of dealing with an injury. At the Law Office of Michael Olewinski, we understand your rights regarding injuries at the fault of others and we work to uphold the laws that protect you in the event of an injury due to the carelessness, negligence or wrongful conduct of others, and will do everything possible to ensure you receive a proper settlement. If you have been charged with a crime or facing a divorce, you need experienced and zealous legal counsel in your corner immediately. Whether you need a DUI defense lawyer following a drunk driving arrest, need help with another criminal matter or a lawyer to handle your divorce, you need to protect your rights. The Law Office of Michael Olewinski is here for you. Attorneys Mike Olewinski takes pride in representing clients in all areas of criminal defense, personal injury and real estate. They have handled hundreds of cases, including DUI/Traffic, misdemeanors and felonies as well as divorces, paternity, child support and child custody. Our Morris and Coal City attorneys look forward to meeting you, listening carefully and working hard for you. We stand ready to assist you with any DUI/Traffic and Criminal Defense, Personal Injury, or Real Estate matter. We offer a free, 30-minute initial consultation. We are also available for evening and weekend appointments.